For the first time in 35 years, total enrollment of international students in U.S. colleges and universities has dropped, according to multiple sources using National Science Foundation and U.S. Department of Education data. As pointed out in the Brookings report cited above, one of the effects of this downward trend is a negative impact on college revenue. International students typically do not receive financial aid from the institutions in which they enroll, which means they pay full tuition in a time when that is not the norm. So, international students can provide much needed cash in an era when state appropriations for public institutions and high tuition discount rates at private institutions are eating away at the revenue stream. We saw a foreshadowing of this in the Chronicle Pricing Survey that I conducted with the Chronicle of Higher Education in the fall of 2017. Fifty-nine percent of presidents and chief financial officers at private not-for-profit colleges and 40% at public institutions told us they were either "extremely" or "very" concerned about potential federal policies resulting in a "diminished ability to attract international students." There are many benefits of enrolling international students besides tuition revenue. But the decrease in this source of revenue will need to be offset by an increase in other sources, and the one source that colleges and universities have the most control over is tuition. The decrease in enrollment of international students could mean an even larger increase in tuition for U.S. students. In an era when college tuition needs to go down and not up, the loss of international students is a move in the wrong direction. To remedy the situation as he sees it, Senator Kean proposes billboards and other marketing aimed at encouraging students to take 30 credits a year towards their degree rather than fewer than 30. Let's look at the premise, first. Are too many college students graduating from college with six figures of debt? Most of the data says no. According to the Federal Reserve Bank of New York, only five percent of students graduate with over $100,000 in student debt. Part of that, perhaps a large part, is debt from medical and law degrees, not college. Many students do borrow money for college: about two out of three. The average debt that a student graduates with is $30,100, according to one of the best studies on this by the Institute for College Access & Success. On a ten -year repayment schedule, that is $346.39/month. So, not a lot of students are graduating with "six-figures of debt." There is widespread debt, but to a much lesser degree. Let's turn to the next claim, that students are not graduating because they did not plan better and took too few courses. Most of the extensive studies on graduation will not say that students left college due to poor course planning. What are some of the reasons why students don't graduate? Financial. Some leave because they cannot afford to pay tuition. Maybe their family contribution suffers from a lost job, a medical emergency, or a housing problem. In some of these cases the student not only cannot afford continued college costs, but might actually feel the need to move back in with the family to help with a crisis. Or, maybe to work and contribute to the family finances. Another financial impact on college graduation is needing to work while in college to help pay the bills. Students who work many hours a week for pay are more likely to drop out. But there is another issue here with students who work long hours, which is that the work time cuts into academic time and social time. Students who work long hours can suffer academically. They also can form less of a connection with fellow students and feel less of a sense of belonging to the college. All these issues impact graduating. There are also institutional characteristics that impact graduation. Research that I have done shows that institutions that devote fewer resources to student support tend to graduate fewer students. Barriers can be high ratios of faculty to students and of academic advisors to students. I'll point out one more big problem: remediation. Many students graduate from high school ill prepared for college work. This can mean that the first year of college is spent retaking classes, such as English and math, that should have been mastered in high school. 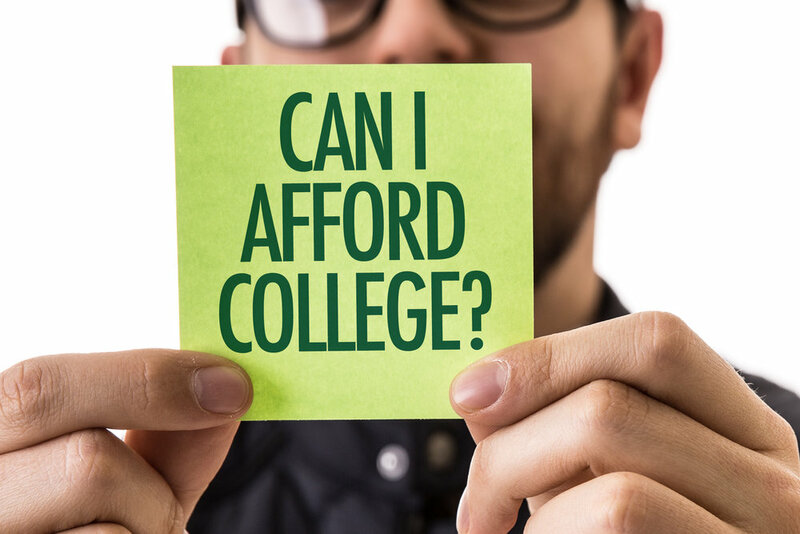 When a student who might already be feeling financial pressure to attend college sees that the whole year of "college" is really just a repeat of high school, he or she understandably has second thoughts. I applaud the New Jersey Senate for seeing that college graduation needs help. But does it need billboards? Probably not. More money needs to go towards state financial support. Two big ways to influence graduation would be to increase financial aid and to increase student support. I think that's a better way to solve the problem than to blame the student for poor planning. We have a big problem with college tuition. Multiple analyses of college tuition have indicated that it has risen at rates higher than inflation, health care, housing, and a host of other items and services. The inevitable question, then, is why is college so expensive? And how are tuition prices determined? Much of the research on tuition pricing looks at economic data, such as the relationship between tuition increases and decreases in state monies going to higher education. At the same time that we see public colleges receiving less money from the state, we also see that tuition at those institutions is rising. The conclusion then is that those responsible for setting tuition are making the decision to raise tuition to make up for decreasing state contributions. There are many other factors, however, that are more complicated. And while the decisions around tuition pricing might be informed by economic factors, ultimately, they are made by people. I wanted to know what the people making the decisions were thinking. So, I worked with The Chronicle of Higher Education to develop a survey for college presidents and chief financial officers that would ask about their decision-making process. The results are available in a nice report on the Chronicle’s website. I always think that when you have to solve a problem, it’s important to trace that problem back to assumptions that people have made. They are not always right. So, here’s a big disconnect we found. College leaders’ assumptions about what prospective students and their families understand about college pricing are pretty much wrong. Here’s the situation. Many of you know this already, so bear with me for a minute. The real problem is that many people looking at colleges don’t know about this. Hardly anyone pays those high sticker prices for college tuition. College leaders know that prices are too high for many to afford, and so after those high prices are published, the colleges throw a lot of financial aid at the problem. A high sticker price is associated with quality. Just like you assume that a $50 bottle of wine is much better than a $10 bottle of wine. And it usually is, but not many people can spend $50 on a bottle of wine. So, colleges discount tuition. On average, they discount it by about half. That means that at a college with a sticker price of $30,000, the average amount that gets charged to students is $15,000 (of course it varies student by student and school by school, but this is about average). All of a sudden students and their families are paying only $15,000 a year for a $30,000 a year college education. Great deal, right? College leaders assume that prospective students and families know this, and take it into account when applying to schools. We tested this in our survey and over half of college leaders thought people knew they would get a discount. Three out of four college leaders at private not-for-profit institutions though that students knew they would not pay sticker price due to tuition discounts. Many college leaders also thought sticker price would not cause prospective students from looking at a school. This is a remarkable mismatch. Forty percent of potential students reject a school out of hand purely on sticker price. Even more have no idea that tuition discounting ameliorates the sticker price. This is a very large sector of the population that think they cannot afford an institution when it might be affordable. The sticker price shocks them. Yet the people setting that price think that what they are doing is well known. It’s not. Obviously, this is one of the big problems with college tuition. And there are more that are in the report I did with the Chronicle. I’ll talk about a few more in subsequent blog posts, but you probably want to get that report. It's got a lot of good information for college leaders as well as prospective students and their families.